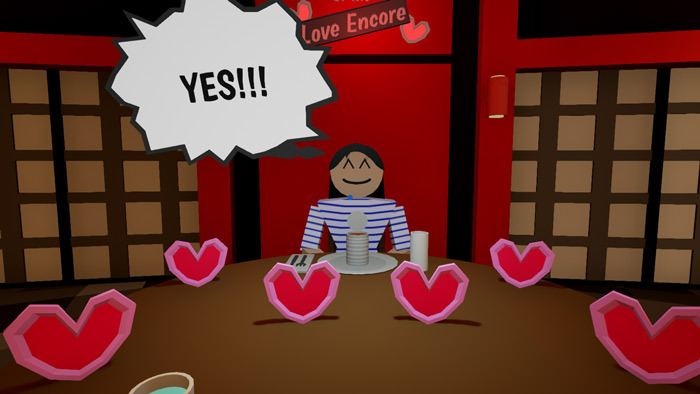 "A crazy, silly and fun speed dating simulator"
Settle and Score: Love Encore is a silly and funny speed dating game where you meet a few different people and have to choose three different objects on the table in front of you, based on the three objects you choose your date will react to each object and tell you their feelings on it, they will then decide whether you have impressed them or not and if you have scored with them they like you or dislike you. 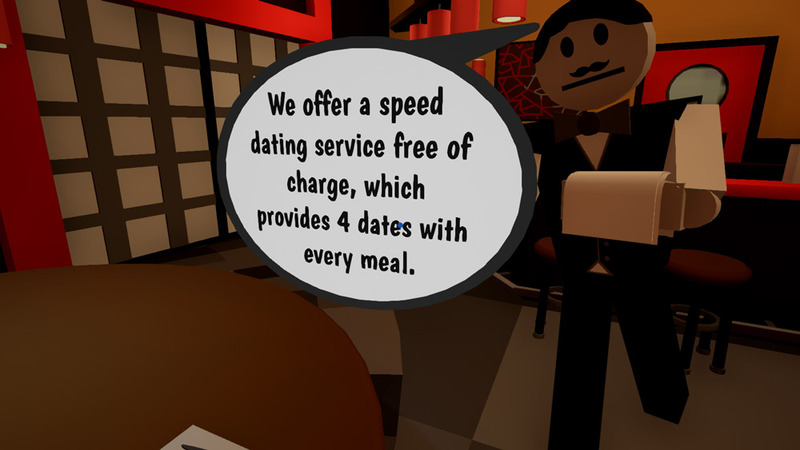 The game has a really nice art style and is very well designed, as you look around the restaurant you will see how much detail has gone in to this very cool and a little bit crazy game, it’s also available for VR headsets. You will meet a selection of very different characters from stalkers to vegans to gamers but picking the obvious option of the objects will not always mean you are successful with your dates and sometimes picking the weirdest or most random object may be more successful but again not always. Settle and Score: Love Encore is a lot of fun and really nicely designed it’s all over a little bit quickly though and it would be great if you had a few more different dates to meet during the course of the game. You can download Settle and Score: Love Encore here for free.